Sandra Steingraber, author, cancer survivor, and environmental activist is currently serving a 15 day sentence at the Chemung County Jail in New York. Sandra was arrested last month while protesting a proposed natural gas storage and transportation facility that, if built, would bring chemical carcinogens, endocrine disruptors, and developmental toxicants to the area. Yesterday afternoon, we received the following letter from Sandra Steingraber, writing from jail, addressed to fellow cancer survivors. It is a powerful call to action against fracking and we are honored to share the letter in its entirety. To read more about what Sandra was doing and why when she was arrested, click here. As everyone knows, being booked into jail involves rites of passage: mug shots and fingerprints. What you may not know is that being fingerprinted no longer involves ink and paper. Like everything else, including the mug shot, this ritual has been digitized. The booking officer first rubs your fingers with a sequence of baby wipes and then splays them onto the glass plate of a scanner. Voilà! There they are, many times larger than life: facsimiles of your fingertips floating in the computer monitor. A series of happy electronic chirps means the pictures are keepers; a single beep means re-do (and out come the baby wipes again). Meanwhile, you stare transfixed at your own disembodied black-and-white fingers, hailing you from behind the screen – their contours, whorls, and ridges, all familiar and alien at the same moment. And then it hits you: how exactly like looking at one’s own breasts on a mammogram! Only this time: you already know the length of your sentence; it’s far shorter than having cancer, and it doesn’t involve the possibility of death. Here’s another difference – when the booking officer has to retake the image, he actually says F*CK, whereas the radiology technician – whose level of loving kindness roughly approximates Chemung County’s deputies – says things like, “The doctor wants another shot. Lean forward. Take a breath and hold it.” Which is less reassuring than F*CK. I’m incarcerated in the Chemung County Jail for trespassing at a compressor station site on the banks of Seneca Lake, where the nation’s largest energy storage and transportation corporation seeks to store the vaporous products of fracking – methane, butane, propane – in abandoned salt mines under the lake. If Inergy, LLC has its way, my tranquil Finger Lakes home will be turned into the fracked gas storage and transportation hub of the entire Northeast. For my act of civil disobedience, which involved blockading this site with eleven other residents, I received a 15-day sentence. As someone who grew up amid heavy industry – downwind from the Illinois River Valley’s biggest polluters – who was diagnosed with bladder cancer at 20, who documented, in my 30s, the presence of solvents and other carcinogens in my hometown drinking-water wells, who became a mother in my 40s, I highly value clean air and water and am motivated to protect them. I think a lot of cancer survivors feel that way. What I didn’t expect – as a first-time civil disobedient – was how well prepared I was for jail by my prior experience as a cancer patient. As far as I can see, if you’ve ever spent time in a hospital, tethered to a catheter tube, you have all the skills you need to cope with incarceration. Hospital: Bad food; lights on all night; strip searches; people you’ve never met control your life; confined to a small space; little access to daylight; delayed response to call-button request; annoying television in the background; ice chips. Jail: Ditto, minus the call button. Basically, if you can be a cancer patient, you can be an inmate. Have you ever walked down a hospital corridor pushing an IV stand with one hand while trying to hold shut your backless, blue gown with the other? If so, you will have no trouble with ankle chains and an orange jumpsuit. Have you ever laid alone on an examination table with your feet in the stirrups, prepped and draped, waiting endlessly for the doctor to finish up with the previous patient and walk through the damned door? If so, then you will know how to occupy your mind while handcuffed to a wall while the officer finishes booking the inmate in the next room. I say all this because there is a great need, at this historical moment, for citizens in general and cancer patients in specific to vigorously insert themselves into the political process. I’m not calling you to unlawful behavior. Civil disobedience is a highly personal decision and, for me, came as an individual act of conscience – but I do contend that there is more to fear from our inaction than from the consequences of our actions. After two decades of researching, writing, speaking, and submitting expert testimony as a biologist on the role of chemical carcinogens, endocrine disruptors, and developmental toxicants in an attempt to bring about toxic chemical reform, I have to admit that very little has changed. Now I am watching the fracking boom – which uses and releases chemical carcinogens, endocrine disruptors, and developmental toxicants and enjoys exemptions from most of our federal environmental laws – undo what little progress we have made and hurtle us further down the road toward the catastrophe of climate change. Here is what I am now convinced of: the oil, gas, and coal industries – and all the hydrocarbon carcinogens they produce and release – will not be dismantled by good data alone. And here, from cell block D, are my recent observations: having been arrested three days prior to a cancer checkup, the latter, while deeply familiar, was far more frightening than the former. The images from my 2013 fingerprinting were far less terrifying than those from my 1995 colonoscopy. And lying motionless for 45 minutes in an MRI tube is a bigger ordeal than five days in 24-hour lockup. In a jail cell, you can reacquaint yourself with the bible, you can do pushups, you can think. 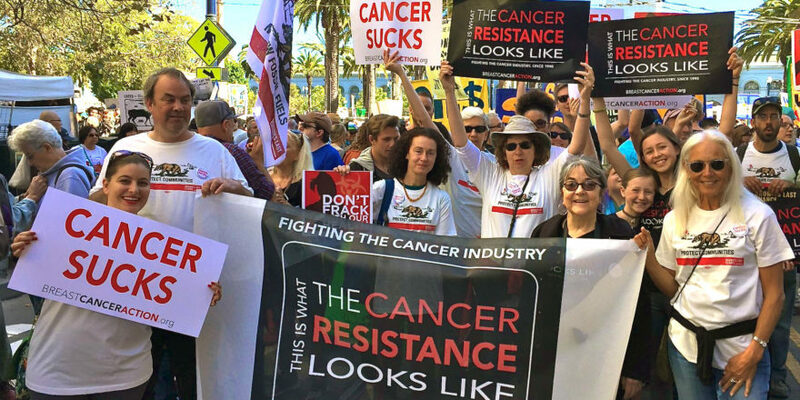 Please also see the fully referenced December 12, 2011 Letter on Cancer Risks of Every Stage of the Fracking Process, signed by national and statewide cancer organizations.